"Innovative DMX and MIDI Products"
ELM Video Technology designs and manufactures DMX and Midi products such as: mergers, splitters (standard & optical isolated or Opto Iso), analyzers, testers, 0 to 10 volt analog converters, relay drivers, PWM (LED Dimmer) drivers, RS232 to DMX converter/controllers, and more. A variety of enclosure styles to choose from including: all aluminum stand alone units, desktop, 1RU (rack mount), 2RU modular, battery operated hand held units, or DIY PCB's. We also custom program for any specific functions or needs, contact us for more information. Great for studio environments, churches, theaters (or theatres), concert halls, and anywhere Midi and/or DMX 512 data is used. 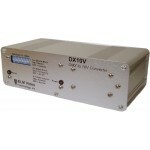 The DX10V converts/decodes a DMX-512 input to a variable 0 to 10 volt analog output. Control 0-10 vo..
DXI - DMX 512 In Line Optical Isolator The DXI is a DMX 512 Optically Isolated through connector des.. 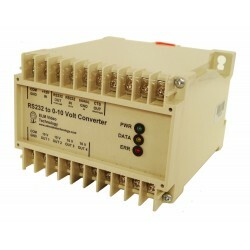 The DS232 is an RS232 to DMX converter controller driver in an all aluminum chassis. Includes power .. 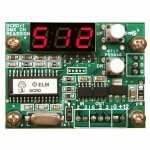 The DTR-HH is a DMX 512 tester data send / receive unit with 10 store and recall preset scene snapsh.. The DCRD-PCB is a DMX input channel reassignment module. Reassigns the DMX start channel of a fixtur..